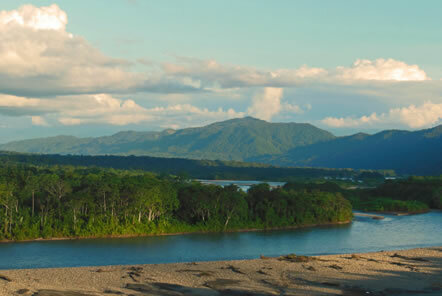 New Amazon research - How to assess people’s impact on nature? New research by the Amazon Conservation team in Peru looks at ways of assessing the health and value of regenerating forest for a detailed understanding of how human activities impact biodiversity and ecosystem function. Across the world, the majority of tropical forests have been negatively affected by people – whether it’s through clear cutting to make way for agriculture, or selective logging for high value timber. Understanding how different levels of human disturbance impact a forest’s health, function and biodiversity value is key to planning conservation strategies and protecting the natural resources that local people depend on. 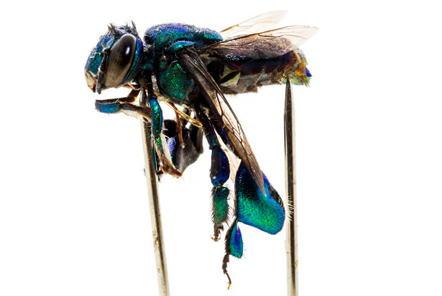 Amazingly, tiny insects – like orchid bees, dung beetles and butterflies – can help answer crucial questions about this issue. This is precisely why Laura, a PhD researcher at the University of Glasgow and a Ecosystem Research Coordinator, who is based at the Amazon Conservation project is studying these groups. Her aim is to better understand how the insects perform as indicators of the ecosystem health and biodiversity value of different habitat types. 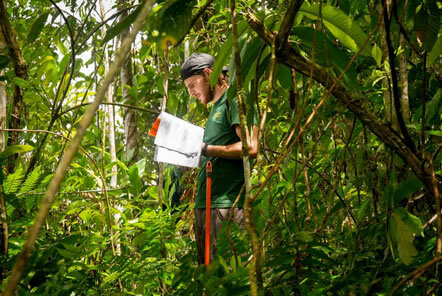 Laura is carrying out her research at the project base in the Amazon rainforest of south-eastern Peru, by comparing the abundance, diversity and function of these insect groups within different types of habitats. These habitats range from intensively farmed banana plantations to minimally disturbed forest. 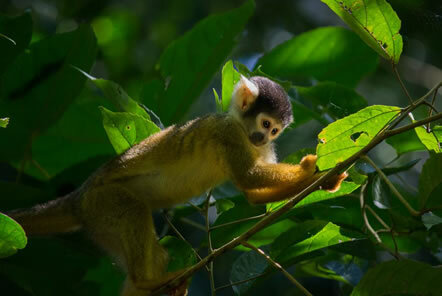 Volunteers help to collect specific data and play a key role in the Amazon Conservation project. 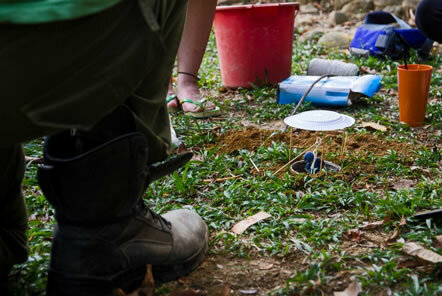 Beetle traps help Laura and volunteers collect data to better understand how these insects perform as indicators of the ecosystem health. She is using innovative methods to collect and analyse the data, such as employing soundscape ecology and adopting novel ways of measuring biodiversity. For instance, two patches of forest may have a similar number of bird species, but in one area they may almost all be seed eaters, whereas the second patch may have a mix of seed, insect and fruit eating species, and so provide a wider range of functions in the ecosystem. 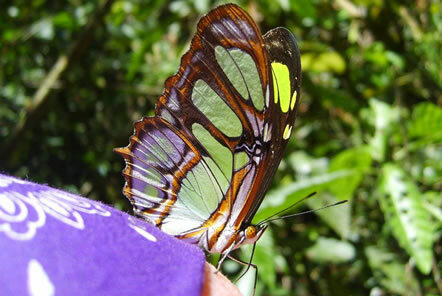 The aim is to measure how biodiversity relates to some of the ecosystem functions provided by the insect groups – this includes nutrient cycling, seed dispersal and pollination. This will enable Laura to assess the health of the various habitat types and how effective they are at recovering from human disturbance. For example, as long as plants are getting effectively pollinated, nutrient cycling is working well, and the food web is in balance then the forest should be in a good state to recover from small disturbances, such as tree falls and storms. Understanding the relationship between human disturbance, biodiversity and ecosystem functions is important both for the regeneration and conservation of tropical forest, but also for the local people who benefit from the ecosystem services provided by wildlife. Research like Laura’s is invaluable, enabling the Amazon Conservation team and other environmental groups across the world to make more informed decisions and effective plans as we try and balance the needs of nature and people.